Writing in a photo album allows you to identify the people in the photos and tell the story behind each picture. With a caption or journal entry, you can tell the people viewing the photo what happened that day. These entries can be very simple, or as long and detailed as you wish. Many people choose to write a mixture of short and long captions, depending on the picture. Journal entries are a long-term process, and you can add details over a period of weeks or months as you remember them. Put in the pictures before writing the journal entries. This way you can tell how much space you have to write captions or journal entries, and you can adjust the amount of writing based on the space. Decide if you want to hand-write the entries or type them and then glue them to the page. Hand-writing gives a personal touch, but it can also take up more space. Use typing if you have limited space. Write in the basic details first. Put the ages and names of the people in the photos, the year the photo was taken and the location of the picture. If you have space, add more details to the journal entries, such as favorite memories of that trip, feelings you had during that time period or additional facts. You can even write in famous quotes or scraps of poems. Write bullet points of information in severely limited space. This eliminates many of the words that take up space while still communicating the message to the viewer of who and what the picture is about. 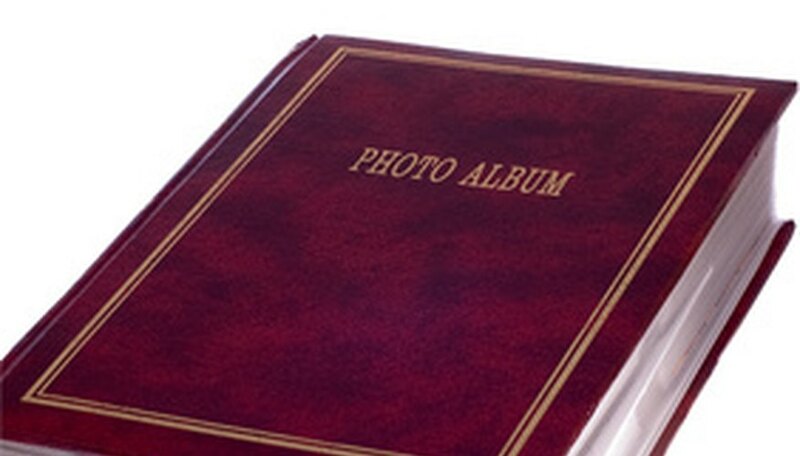 Use acid-free materials in photo albums. If you do not, then the pictures will quickly turn yellow or brown because the acid from the paper or writing utensils will damage the photos. Choose colors and embellishments that enhance each photo. You can even circle important people in the photo, or use a sticker to cover up an ugly part of the picture. Have fun with the entries and take your time. You do not have to write captions for hundreds of photos in one day.